Today, I'd like to share flower watercolor card. Let's get started! For this card, I used Altenew Adore You stamp set again. I'm so in love with this stamp set. Did you see my first project using these flowers? Check out HERE (handmade money envelope card). First, I started by stamping big flowers and leaves with Versafine Onyx black onto the watercolor paper. I colored them with watercolor paint from Mijello Mission Gold and draw stems, too. I then added mini flowers. 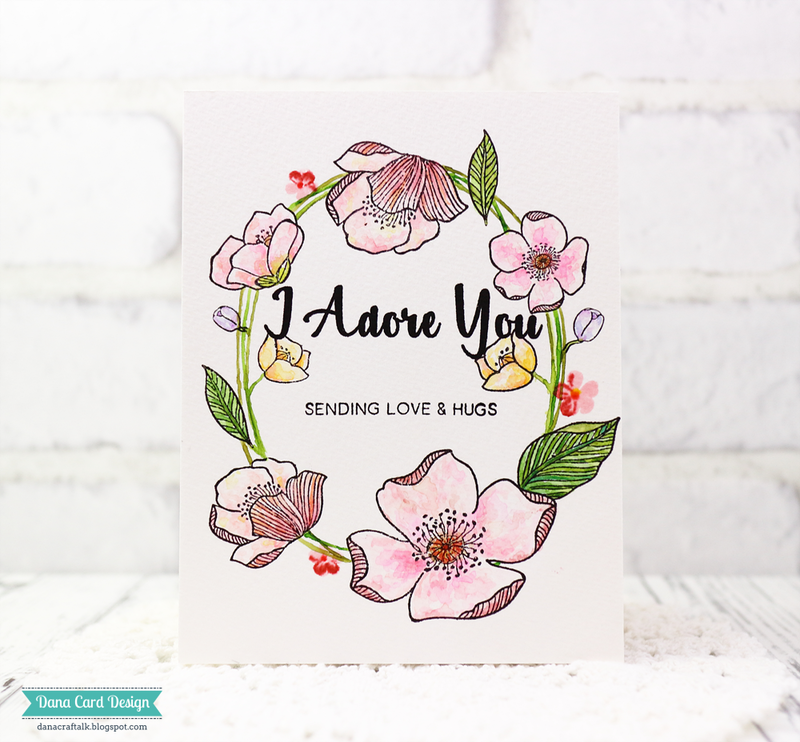 Lined images are from Altenew Adore You stamp set and Oriental Orchid stamp set. Solid images are from Altenew Vintage Flowers stamp set. After dried watercolors completely, I stamped sentiments from Altenew Adore You stamp set. 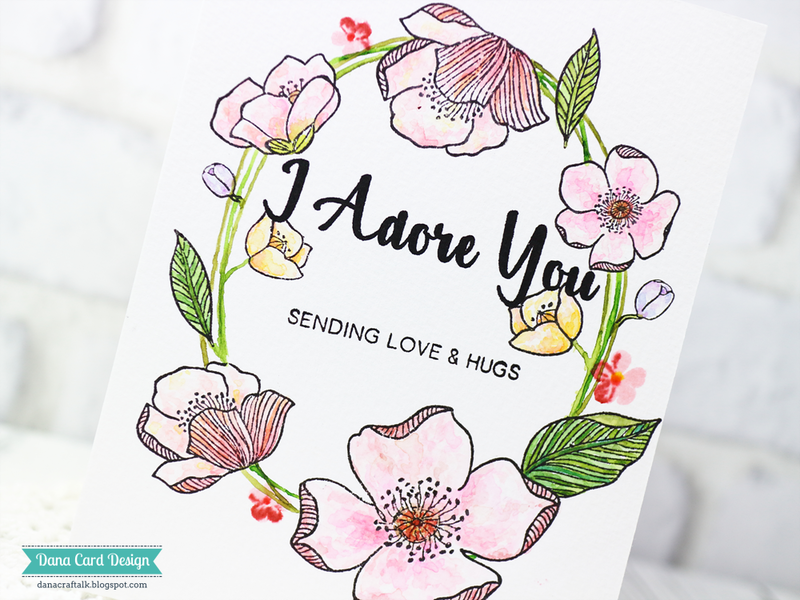 For highlighting the main sentiment 'I Adore You', I stamped it 5 times and I love how it turned out. To finish, I mounted watercolor panel to the A2 size top folding white card base. So beautiful, Dana! LOVE the soft and feminine wreath you created! Thank you, Cris! You are so sweet!